After many different attempts at losing weight, I have spent the last year doing what everyone says you need to do, but I actually avoided for so long: changing my lifestyle. Now, for the most part, I eat healthy and exercise a number of times during the week. I have lost just under 40lbs in the process, with the majority of the weight coming off in about 5-6 months, and then maintaining that weight loss for the remainder of the year. I have gone from “obese” on the BMI charts, to within the healthy range. I have a level of energy that I haven’t had in years. And my recent blood tests also confirmed my health, with my cholesterol hitting the healthy range after being incredibly high and requiring medication. I have learned some important life lessons along the way and want to share them with you. I hope they help you find a healthy approach to weight loss. I don’t have a lot of patience. So, in the past, when I wanted to lose weight, I wanted to lose it fast. I didn’t care if the approach was healthy or not and convinced myself that I would do whatever it took to drop the weight and then I would implement healthy choices to maintain that weight loss. Yeah, well that didn’t work. A few years back I dropped a lot of weight. I did so in a very short period by eating 500 calories a day and taking pregnancy hormones. I know that sounds crazy. Writing it makes it even harder to believe that I did it. And yet, the lure of the quick drop in weight was quite appealing. So, I lost the weight. However, not only did I gain it back, I gained it back and then some. And in the process, I completely messed up my metabolism. You see, I convinced my body that I was starving. So it made sure to really hold onto all that fat, as it wanted to protect me. This time around I learned that, while I wanted to drop pounds, to do it right and in a healthy way was going to be a slow process. I lost, on average, between 1-2 lbs. a week, which is exactly what is recommended. And when I hit plateaus, I really tried to pay attention to the inches and not the scale. Throughout the year, I have gone through periods where the scale doesn’t move. Sometimes it even goes up. Now aside from the obvious that I may be holding onto more water from having too much salt the night before, or other changes in eating habits, sometimes staying the same is still losing. Meaning, that if I am transforming fat into muscle, the scale may not budge. Or it may even go up. But that pound of muscle is working so much harder than that pound of fat in burning calories and for long-term weight loss. A pound of fat burns 5 calories a day; a pound of muscle burns 50. Not to mention, a pound of muscle may weight the same as a pound of fat, but it takes up significantly less room in the body, so you will actually be thinner even if your weight stays the same. When people diet in unhealthy ways, there are times they are losing “weight,” but they are not losing fat. If they are losing muscle, they are working against themselves. Likewise, gaining a pound of muscle will help the body much more than losing a pound of fat. This is true for measurements as well. I was really upset one day when my measurements had gone up for my arm. Then my trainer pointed out to me that I had gained a tone and muscular bicep from working out. That newly formed muscle took up more space than the flat flab that had been there before. So the number was higher, but my arm was much more tone and muscular than before. There may be people out there that change their eating habits and then never crave unhealthy food again. I am not one of those people. I need to choose to make healthy choices. Every. Single. Day. It is not like once I started eating in a healthy way, that suddenly donuts and pancakes became unappealing to me or would make me sick, rather, when I decide what I want to eat, I make a conscious choice to have a protein shake or a salad instead. I think this is a point that many people forget. I always assumed that once I lost weight I would magically only start craving what is good for me and I could then trust my cravings to determine what I should be eating. Nothing is farther from the truth. I still can and would eat portion sizes much larger than I need. I would choose ingredients that have more fat, sugar, calories or carbs than I want to be eating. Basically, even after a year of healthy eating, if I want to ensure that I am keeping to the portion size I want, I am going to measure my food and read ingredients with everything I eat. That said, I have started truly liking and enjoying foods that are incredibly healthy. That does not mean that the other foods are suddenly repulsive to me, but because there are healthy foods that I also like, it makes it easier to pick one of those options instead of an unhealthy option. But don’t tell yourself that you could “never eat the way you did before” because chances are you can. Rather tell yourself that you will make healthier choices so that you don’t eat the way you did before, not because you won’t want to, but because you will choose not to. Because it is hard work, don’t do it alone. The best is to find a friend who has similar goals and can support you and keep you motivated (while you do the same for him/her). Another great option is to find someone who has successfully lost weight and maintains a healthy lifestyle who can share tips with you, give you guidance and help you make the right choices along the way. It can be challenging to stay on track. Especially if you have used food either as reward or if you struggle with emotional eating when you are having a difficult time. If your go-to has been food, learning to find alternatives can be really hard. When there is someone you can call and speak to about it, and someone who makes the effort to check in with you, you have a level of accountability that will help keep you on track. Most importantly, having someone to talk to reminds you that you are not alone, that someone else is concerned about your health and your success, and that person is there to remind you that you are more than your weight. You are valuable. You are important. You are worthy. And when you don’t have the energy or desire to care about yourself, there is someone else who does. I have friends that can have a “cheat” day and eat anything they want and then go back to healthy eating. These are the same people that can have a few bites of cake and leave the rest. That is not me. I do not do well with indulging in foods that I don’t want to keep eating, as then I crave them that much more. I am also a quantity eater. I would much prefer to have 4 cups of popcorn for a snack than a few nuts or bites of a granola bar. Because of this, I find foods that I can have a lot more of and therefore will both feel more satiated and emotionally satisfied. When I feel restricted, I feel deprived. And when I feel deprived, I want to rebel and give myself whatever it is I feel I am missing. That does not go well. And even if you are the kind of person that can stop after a few bites, do yourself a favor and really count out that few. You would be amazed how quickly what seems like 10 almonds become 20. So be honest with yourself and pay attention. Otherwise your healthy snack can suddenly become a source of weight gain. Being healthy means making healthy choices for your mind, body and soul. It means making sure that you get enough sleep, that you eat foods that nourish and satiate you and that you exercise so that you have energy and strength. If you do those things, you are pretty much guaranteed to feel better and be happier. My gym was running a membership special by promoting the idea that a membership is a lot cheaper than therapy! No question, get those endorphins going and you will feel better. And if you have the added benefit of losing weight and liking how you look, you will also then think and act in a more positive way. But… that is when you choose a healthy lifestyle. That is not the result of simply losing weight. My number 1 lesson explained the difference between losing weight in a healthy way vs. unhealthy way. This lesson takes that a step further. If you are unhappy, if you are stuck in rut, if you are going through emotional issues that are hard and challenging, dropping 10, 20 or 30 lbs. is not, in and of itself, going to change that. Especially if you lose the weight, but you don’t change your overall behavior and attitude. 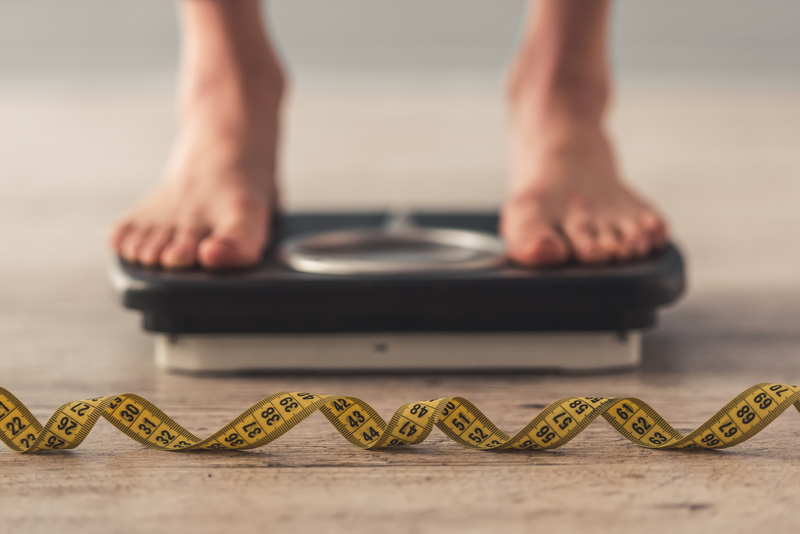 And worse, if you lose weight thoroughly unhealthy means such as extreme dieting, you are likely to be more upset, more high-strung and more depressed from simply starving all the time. If you deplete your body of what it needs, your brain can’t function at full capacity and your mood will most definitely be negatively affected. So if you really want to not only look good, but feel good, ensure that you are making changes for the totality of a healthy you. Make sure that you are not a slave to the scale, but that you are focused on gaining strength, energy and confidence. Most importantly, we need to recognize that our bodies are the vessels that get us through life. We must be kind to them, treat them with respect and acknowledge all they do for us. When we spend so much of our time and energy fighting the body we have, criticizing it or even hating it, we are enveloped in a toxic mindset which is counterproductive to the healthy attitude we need to make lasting change. If one is at an unhealthy weight, losing weight is a great goal to achieve health. But always ensure that health is the end game you are seeking. Because when it is, everything you do, every choice you make and the lens through which you see your reality will be guided by what is best for you in that given situation. Your life will then not be about restriction, but about achieving true freedom. Your body is your ally and your partner. Treat her well. She needs it and deserves it!